A specific learning difficulty in mathematics and/or dealing with numbers. In most cases this can be tackled by taking a different approach to the traditional ones used in this area. Better performing peers use linking strategies which are based on understanding numbers, operations and how they relate. Lower performing pupils seem far less able to employ these significantly useful strategies. He also believes that the focus on speed in solving mathematical problems disadvantages those who process information slowly. 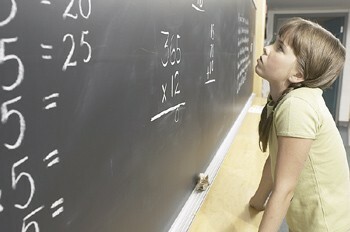 What are the best strategies for dealing dyscalculia or general difficulty with number? The most important thing to remember is none of us like to be wrong. And for some the school experience of Maths is of being continually wrong over a prolonged period. That is why so many internalize this failure ('I can't do Maths! ): numbers become a source of fear and loathing. So the first objective is to remove anxiety by demonstrating what the learner already can do e.g. counting forward. 2. Assess the level of working and short term memory. This can be done by asking a learner to repeat back a series of numbers (the acts of remembering and reordering are key elements of working memory). Most adults can remember around seven digits. Those with special needs typically can work with three. 3. Build on what is known - counting for example, to develop essential skills: computation, sequence and place value. 4. Simplify vocabulary and visual presentation of Maths problems.